We stock an extensive selection of VP Racing Fuel, typically in 5 gallon pails, on site at NITRO SQUARE. Click the above to view the most up to date order form of our typically stocked fuels. To view the full range of VP Racing Fuels, click over to VP Racing Fuels. If you want to guarantee availability and reserve your specific fuel requirements, please call Nitro Square 218-454-1642 as far in advance as possible. 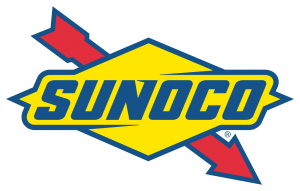 We stock Sunoco 260 GT fuel at the gas pump on site at RACEWAY SQUARE. If you have any questions about your fuel requirements, please do not hesitate to contact us directly.